We all know that airfare can easily be the most expensive component of any trip. If you want to go to Disney World and aren’t close enough to drive, for example, you’ll generally need to brace yourself for plane tickets that cost $300 or more per person round-trip. Want to visit the Caribbean? Plan to fork over at least $400 for a round-trip flight from any American city during peak season, and only a little less if you fly off-peak. I’ve written about the many ways you can save money when you travel before, but it doesn’t mean you can avoid every cost associated with travel all of the time. And believe me, all of the costs associated with travel really do add up. 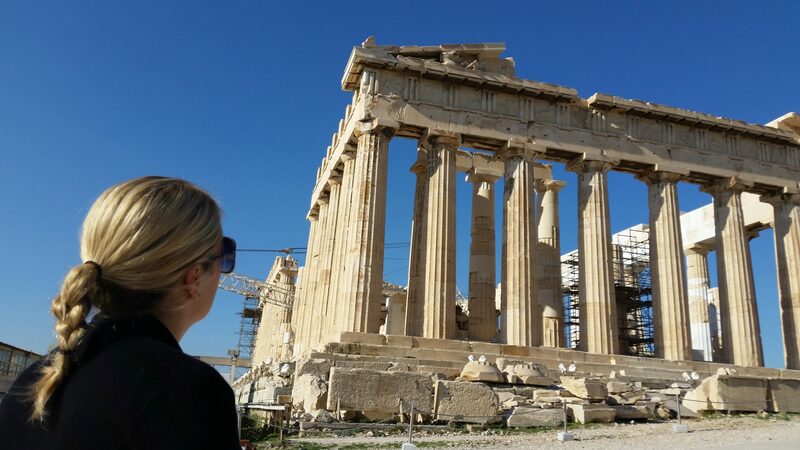 Check out my Complete Cheap Vacations Guide on how to save more while traveling! Here’s the good news. Even though airfare is expensive, you can drastically reduce the costs of flying if you’re willing to jump through some hoops. Just remember, getting free flights isn’t as easy as getting a free waffle cone from Dairy Queen on your birthday. To score the almost-free and free flights we all crave, you have to be willing to do things other people aren’t willing to do. That can mean anything from reading through tedious fine print to signing up for specific travel rewards credit cards and joining loyalty programs. Yes, some of the strategies are a pain, but they’ll get you on a plane nonetheless. Got it? Travel for work? Join your favorite frequent flyer program. 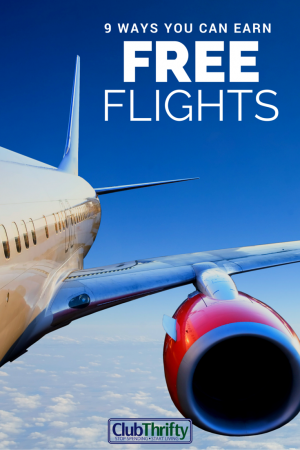 Earn a signup bonus you can redeem for free flights. Sign up for a flexible travel card for utmost flexibility. Join the rewards program at your local airport parking garage. Volunteer to get bumped off your next flight. Shop through airline shopping portals. Fly on an airline that offers free checked bags. Pack snacks when you fly. If you travel for work at all and your employer foots the bill, it would be crazy not to sign up for a few frequent flyer programs and earn airline miles each time you fly. If you travel often enough, you may even earn enough miles to score special status with your favorite airline. And that special status could make it easier to get free upgrades, priority boarding, and more. If you haven’t considered an airline credit card in the past, you really should. Not only can you earn “bonus” airline miles as a cardholder each time you fly with that airline, but you can score a huge signup bonus as well. The Southwest Visa is definitely a credit card you should consider. The Southwest Rapid Rewards® Premier Card, for example, is currently offering 40,000 Southwest Rapid Reward miles after you spend just $1,000 on your card within three months. That’s enough miles for two round-trip flights to the Caribbean, for heaven’s sake! Plus, you can turn them in for $500 in gift cards if your travel plans fall through. See what I’m saying? With this card and signup bonus, you really can’t lose. Don’t want to commit to a particular airline loyalty program? That’s okay. Believe it or not, certain credit cards called flexible rewards cards were made for commitment-phobes like you. The Chase Sapphire Preferred Card is usually considered the best flexible travel credit card on the market, and for good reason. After you sign up, you’ll earn an amazing 60,000 points worth $750 in travel through the Chase Ultimate Rewards portal. That’s pretty crazy since you can use your points to book any flight on any airline! If you’re so inclined, you can also transfer your Chase points to a slew of popular loyalty programs including Southwest Rapid Rewards, United MileagePlus Explorer, and British Airways. You can read all about the various Chase transfer partners in our Ultimate Guide on Chase Ultimate Rewards, but you get the point. If you find yourself paying for airport parking all the time, you can check to see if your airport offers a loyalty program. Mine does, and I can get around a week of free parking every year at the rate I’m going. Best of all, joining is absolutely free! This strategy worked for us a few months ago when we went to Grand Cayman. Because our flight from Chicago to Miami was overbooked, our airline (American) started looking for volunteers who were willing to fly an hour later. Since we had all day to travel and some flexibility in our travel plans that day, we opted to “get bumped” and take two $300 American travel vouchers in return. The crazy thing is, our original flights were paid for with airline miles! So we got free flights for getting bumped off of free flights! To make this strategy work for you, ask at the airport counter if they need volunteers whenever you have some flexibility in your travel plans. You never know when you could get a fat travel voucher just for leaving an hour or two later than you planned. While several credit cards and loyalty programs offer their own version of a companion pass, Southwest Airlines has them all beat. With the Companion Pass from Southwest, any companion you designate gets to fly free for the remainder of the year you earn the pass in, plus the entire next year. Plus, your companion gets a free flight when you pay for your own flight with miles or points. Pretty sweet, huh? Earning the pass isn’t easy, however. To get the companion pass for yourself, you can either a)fly a gazillion one-ways on Southwest within a calendar year (kidding, I think it’s 100), or b) earn 110,000 Southwest Rapid Rewards points during a calendar year. If you do a lot of shopping online, you can earn free flights rather quickly by utilizing shopping portals. My favorite shopping portal by far is the Chase portal. On any given day, you can earn an extra 2-5 points for every dollar you spend at retailers like Best Buy, Home Depot, Lowe’s, or Macy’s. Using these shopping portals every time you buy something online is crazy smart, and especially if you pair your shopping with solid credit card. Compare more of our favorite rewards cards here. Certain airlines offer free checked bags if you hold their co-branded credit card, and that can help cut down on the costs of your trip. Our favorite airline, Southwest Airlines, takes the gesture a step further by offering two checked bags free to every customer on every flight. For an average family of four, that’s a savings of at least $100. And if you didn’t pay for your flights to begin with, that’s even better! Airport food is just gross. I should know. During my numerous adventures, I have been forced to eat everything from stale nachos with imitation cheese to prepackaged sandwiches that were mushy on the inside. You can avoid eating something disgusting (and save money) by bringing your own food along for the ride. You can’t bring liquids onto planes for security reasons, but you sure can bring your own bag of nuts along! When I travel with my kids especially, I bring everything from Teddy Grahams to cookies and trail mix. Just throw it all in your carry-on before you leave and you’re good to go. If you love to travel like we do, it’s crucial to find someone else to foot the bill. I’m not even kidding, guys. Travel is expensive, and I have two kids with a growing list of needs. 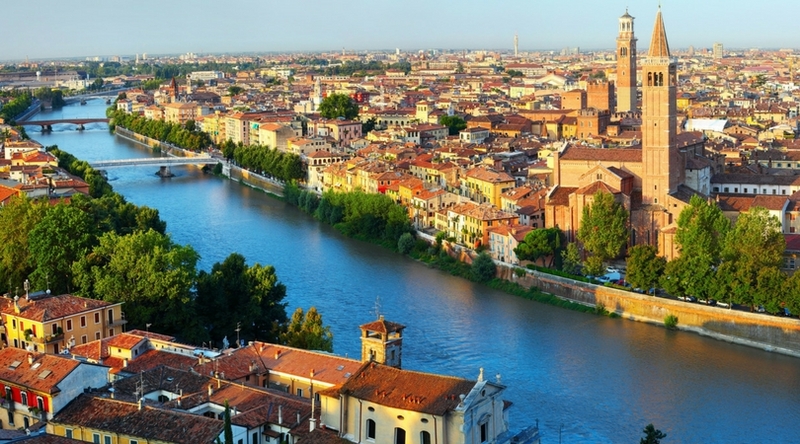 I have no desire to pay for all of the trips I go on, which is why I jump through the aforementioned hoops and focus so much on airline miles and other types of credit card rewards. Travel really can be cheap or free, but you do have to put in the work. But trust me, the free flights will be worth it once you finally get in the air. In a lot of ways, pursuing credit card rewards is a lot like childbirth; it’s painful and you can’t believe you would go through all this hassle, but the end result is amazing. When you’re relaxing in Bali, Tahiti, or the South of France, you’ll no longer care what it took to get there. 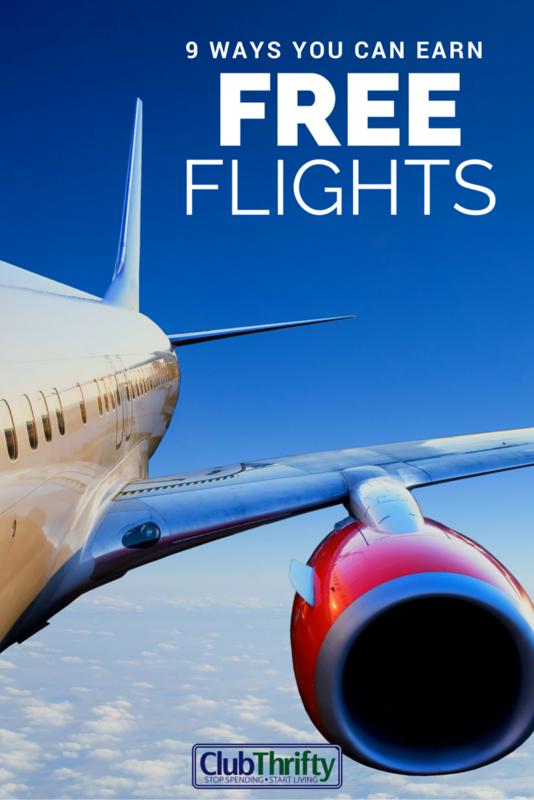 What is your favorite way to get free flights? What is your best redemption to date? Please share below. We are using both the Southwest and Sapphire cards. So far so good. We book a trip from NY to CA for under $600 for the five of us, the cheapest we have ever flown! I loved having the Southwest Companion Pass! My boyfriend flew with me for free for at least five years. I loved when they acquired AirTran and added all those Caribbean destinations! We squeezed a killer Jamaica trip in before my pass expired. Flying really is pricey, especially when you have a whole family to fly. Our bank’s credit card used to offer pretty good flight rewards, but now that it’s changed hands it takes forever to accumulate enough to cover a whole flight, let alone 4! We have started using other cards, for that reason. Packing snacks and carrying on also saves a lot! Definitely! I bet I save $20 on snacks alone when I fly with the kids are bring my own. I’m a big fan of the CP. We’ve used ours a good number of times over the past 18 months. 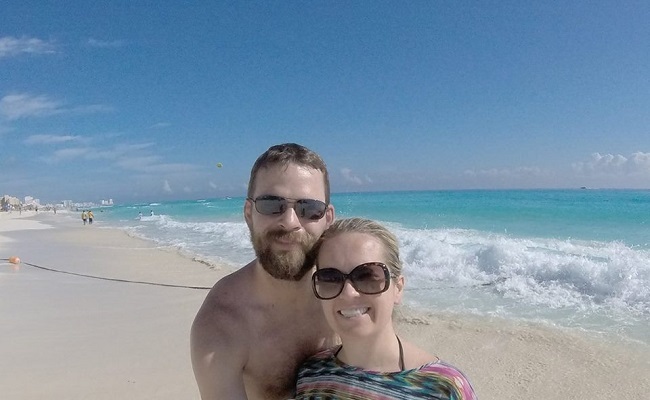 Our best, most recent, use of it was going to Cancun for something like 20-25k points total. We’re also going on a short trip in a few weeks where Nicole got a similar voucher from SW and I’m using points so it’s free. We also do things like pack snacks to save money at the airport as it can get pricey at the airport, not to mention not always having the best options. I love the CP! Sadly, Greg’s expires at the end of the year. Free travel is one area that I haven’t hacked yet that I wish I would. I am so focused on repaying law school debt right now, but once that’s gone, I think this will be really helpful. There’s no reason to pay for something you can get for free!! I don’t blame you. It’s smart to focus on that debt first. You’ll have the rest of your life to live debt-free and travel if you want! I got a free flight once when they needed to make an emergency landing because of smoke in the cabin. Those were the toughest 25,000 miles I\’ve ever earned. Oh my! That would really freak me out! I get spoiled because I have a family member who works for Delta, so I can use a buddy pass for very cheap. But since the buddy pass is always standby, I do buy flights if it is a busy season or if I have a more rigid travel schedule. I use my Capital One Venture One card for points back. I’m not a huge spender, so the credit card doesn’t mess up my budget. We recently flew to Florida for free. We got four round trip tickets through our Chase Sapphire rewards, transferred over to Southwest. We packed our own snacks on the plane and enjoyed the free checked bags. I think we’ll check out Southwest Rapid Rewards next. Thanks! These are all great tips! I’m all about flying for free! P.S. I love the Pinterest image you have for this post. Looks great! Thanks Michelle! Greg gets credit for that! I am currently trying to rack up rewards now on my Chase Freedom Card. I should really probably look into getting the Southwest card though! Do you know if you the points from Chase Freedom transfer to Southwest’s card? Only if you also have a card that earns Chase Ultimate Rewards – like a Chase Ink Plus Biz card or the Chase Sapphire Preferred. But the CSP is my favorite credit card of all time, so I would suggest getting it when you can. Chase points from the CSP transfer to Southwest at a 1:1 ratio. My “go to” recommendation to friends who know nothing about travel hacking is to get a Southwest co-branded card. The requirements are relatively low ($2,000 in 3 months), and you don’t have to worry about finding award seats. Frankly, I wish all airlines switched to revenue award program. I know those who love to redeem miles on first class absolutely hate the idea, but I would love nothing more. For a family tied to a school schedule Southwest is the best thing since sliced bread. Well, unless you have to go to Europe, sigh.. It’s going to be interesting when I try finding 5 award seats to Europe in July of 2017. Wish me luck! Try Aer Lingus using British Airways Avios, if you can fly into Ireland. We flew SW to Boston, then Aer Lingus to Shannon, Ireland for 25,000 each round trip. We stayed in Ireland for a few days then flew Ryan Air on to our next destination, and then back to Dublin (where we flew Aer Lingus back to Boston). Our Ryan Air flights were only $10 each one flight and $15 each the next, however their baggage fees are high. We just checked one bag and it was about $30. When I booked our Aer Lingus flights, there were plenty of reward seats available. I love Southwest. We are flying Southwest ten times this year, with about half of those flights down and half to go! I really like my flexible rewards card. I’ve never had an opportunity to be bumped from a flight, but I would absolutely consider it. Flexible rewards cards are great! We use ours all the time.